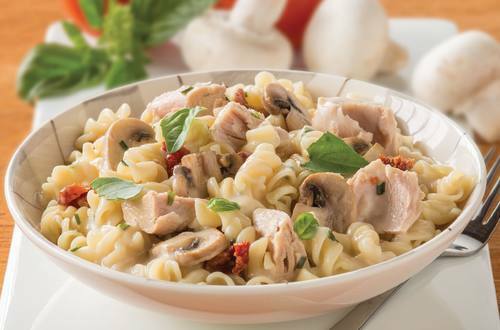 Try out a twist on an Italian classic with our Carbonara recipe with tuna & sun dried tomatoes. Quick and easy to make, this recipe can be ready in just 20 minutes. 1 Heat olive oil in a large saucepan or fry pan and brown chicken. 3 Add zucchinis and ham for the last few minutes of cooking. Sprinkle with pepper to serve.